Thank you to everyone who submitted a film for consideration in the 2019 Festival. Our selection teams are busy reviewing and curating all the films to choose the best and most conservation-focused submissions. Selections will be announced by July 5. ACFF invites film submissions from all over the world and in all genres, provided they have a conservation theme. Of special interest are the myriad ways humans interact with wildlife and wild places, issues driven by natural resource conservation, humans as part of the environment, living in a continuum of cultural tradition, lifestyles in conjunction with changes in the natural world and how youths encounter and understand the natural world. The next Festival will take place in the fall of 2019 in multiple venues, providing screenings for a wide range of conservation films, some of which rarely receive a wide showing. ACFF attracts emerging and seasoned filmmakers alike by offering hands-on workshops and expert seminars on the craft of conservation filmmaking that run concurrently with the festival. Our selection teams consider documentaries and narrative films of most any run time, provided they address one of broad themes listed below. ACFF will select several outstanding conservation films to receive awards in 2019. Films are eligible to receive more than one award. All awards will come with laurels and a monetary prize. Our most prestigious award, The Green Fire Award, named in honor of Aldo Leopold, is bestowed upon the film that exhibits an extraordinary level of excellence in filmmaking and helps us look anew at our relationship with our environment. Films are selected on the strength of their conservation message, storytelling, and visual impact. Supporting new and emerging filmmakers is a major tenet of ACFF. We actively encourage student filmmakers to submit their work for review and potential inclusion in the festival. The Student Filmmaker Award Winner receives a $500 cash prize sponsored by Friends of the National Conservation Training Center. ACFF looks to recognize compelling conservation stories that engage, inform and inspire viewers in less than 20 minutes. This award is granted to an outstanding conservation film from outside the U.S. that illuminates conservation issues in a unique, provocative and impassioned way. Multiple factors are taken into consideration when determining international eligibility such as primary shooting location, language(s) spoken in the film, and/or the nationalities of key members of a film’s cast and crew. Attendees vote for their favorite film of the festival! This film is often honored with multiple screenings at Best of Festival events throughout the year. The ACFF Selection Committee accepts a wide variety of film genres with the unifying element being conservation. Films may address environmental issues, highlight cultural preservation, focus on appreciation of the natural world, detail scientific break-throughs that impact sustainability or trace the history of a conservation hero. Topics in the past have included climate change, consumption and waste, cultural connections, energy, food and agriculture, health and well-being, history and heroes, marine life, rivers and streams, wildlife and wild places. If you are unsure if your film would be a good fit for ACFF, please email us with a brief summary. We are happy to offer guidance. Independently produced films and films produced for broadcast, (narrative, fiction or documentary) that use the power of imagery to inform and inspire audiences to become engaged in environmental conservation issues. This category includes films with a running time of 20 minutes or more, including credits. Independently produced films and films produced for broadcast (narrative, fiction or documentary) that use the power of imagery to inform and inspire audiences to become engaged in environmental conservation issues. This category includes films with a running time of 20 minutes or less, including credits. Student conservation films (narrative, fiction or documentary) use the power of imagery to inform and inspire audiences to become engaged in conservation. Students must be enrolled in an accredited high school, undergraduate or graduate school during completion on the film within the past two years. Film must not have been produced as a work for hire. Students must provide name of accredited school and contact information for the student’s advisor. Films of any length will be considered. ACFF’s preferred method of submission is by secure online screener via ACFF’s FilmFreeway account. Film submissions registered via ACFF’s FilmFreeway account are also accepted through the mail. Entrants may send a labeled NTSC DVD (region-free or region 1) to the address below, however submitted DVDs will not be returned. DVD entries must adhere to professional production standards that will ensure compatibility and playback on standard, consumer desktop DVD players. It is the entrant’s responsibility that the program that is entered can be easily identified on the DVD menu. All films being submitted to ACFF shall have completed production after January 1, 2017 and may be duplicated for internal use by the selection committee and board of directors. One of the elements selection committee members look for is careful editing. While fully respecting artistic license, if given the choice between a long cut and shorter cut, the team usually opts for the version that conveys the message in a concise manner. Films that are selected by ACFF are chosen by a committee of media and conservation professionals. The quality of storytelling, production value, aesthetics and topic are principle factors in the selection of films for ACFF. A film that is received in time, with submission fee paid in full and free of technical issues with either digital upload or physical disc will be treated in exactly the same manner as all other films, regardless of which deadline you choose. (3) Student filmmakers must provide school affiliation with submissions and contact info for advisor on the project. Deadlines are the dates by which we must receive your film. They are not postmark deadlines. We must receive your digital upload or physical disc by the deadline date for which your film has been registered. Films with non-English soundtracks must be submitted with embedded subtitles. If your submission is a student production, be sure to choose that designation on the online submission application. A student is defined as one who is enrolled at an accredited high school, undergraduate, or graduate school, including such programs as AFI. A student is not required to be a film or video major, but must identify their school and year of study on the entry form. No student production can have been produced as a work for hire. ACFF is not responsible for notifying any parties other than the entrant, through its listed contact person, of entry status or of any questions or determinations regarding the entry. It is the sole responsibility of the entity submitting the project to secure permission from the copyright holders of the material contained in the film. Multiple entries will be accepted, provided they are submitted individually. Entrants may resubmit film(s) submitted in the past that were not accepted as long as the film has been completed in the past 2 years. All selected films and solicited materials by ACFF will be programmed into the fall festival. All selected films will be screened in public venues. 2 exhibition-quality NTSC DVDs (region free or region 1) or 2 Blu-rays of the invited work. One of each is preferred. Note: If materials are not submitted by the applicable deadline, we reserve the right to secure substitute materials from other sources. 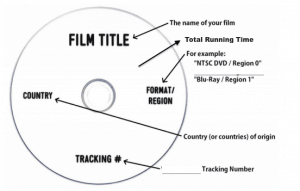 If you choose to submit your work on a NTSC DVD (region-free or region 1) you will be responsible for delivery of playable disc to the shipping address below by the designated submission deadline. If submitting multiple films, please put each on its own DVD. Your disc must be authored as a DVD and not a video data file. Please make sure your DVD plays all the way through, then label pack your media carefully. All submissions must be sent prepaid, including any applicable customs fees. After you have completed the online application, all we need from you is a single copy of your film, labeled using a permanent marker. We recommend placing your disc in a paper sleeve or slim jewel/clamshell case and mailing it in a small padded envelope.